We pray for all those gathering together for the Day of Prayer at Central Hall Westminster today. 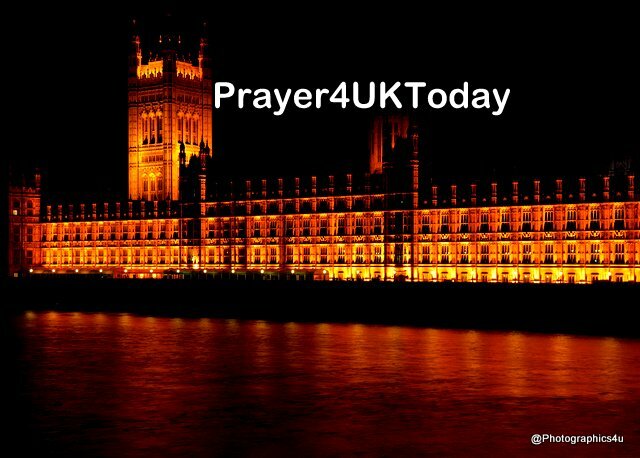 We ask for Your hand of protection over all those travelling to Westminster that each person who You have called to be there to pray for the Nation will be there. We pray that the Central Hall will be completely covered by the Blood of Jesus Christ and Your anointing will be on David Hathaway, Jonathan Oloyede, Dennis Greenidge, Barry Segal, and others as they lead the intercessions. We pray for Your anointing to flow on the Worship led by Richard Lewis, Huw Priday, and Brenda Taylor. .
We decree and declare the Holy Spirit is here to IGNITE our faith with FIRE! During World War I posters declared, ‘Your King and country need you, enlist now!’ We honour those who responded, going to war and sacrificing their lives in the hope that we would live in peace. Sadly that peace did not last long as World War II followed soon after. Jesus came as the Prince of Peace and said, ‘I leave the gift of peace with you—my peace. Not the kind of fragile peace given by the world, but my perfect peace.’ When we choose to walk with Jesus, his peace and hope are there for us exactly when we need it. He empowers us to live our lives today full of hope, uncontainable joy and perfect peace sometimes despite our circumstances.